JUNE! 7-night B&B stay in beach resort in Zanzibar + 5* Qatar Airways flights from Copenhagen for €590! 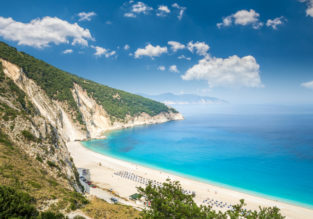 MAY: 7-night stay in well-rated hotel in the Greek Island of Kefalonia + flights from London for just £136! Relax in the beautiful Greek islands! Check out this cheap package deal including 7 nights in well-reviewed 3* hotel in Kefalonia and flights from London Stansted for only £136 per person (on two adults basis)! MAY! 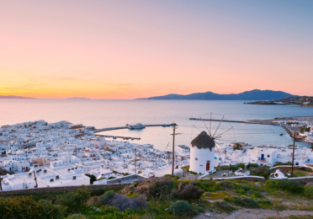 5-night stay in top-rated boutique hotel in Mykonos + flights from Milan for €164! Spring! Apartment in top-rated resort in Palma de Mallorca for only €8.5/$10 per person! 7-night stay in top-rated apartment in Crete + spring flights from Glasgow for £135! 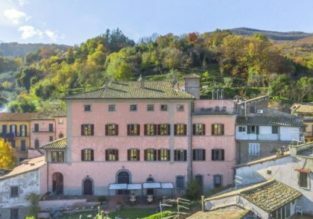 Studio in top-rated palace hotel in the Italian countryside for only €10 / $12 per person! HOT! 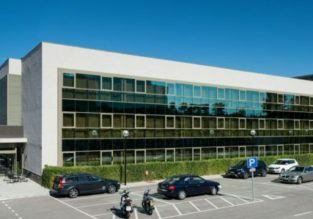 Double Room in well-rated hotel in San Cougat, Barcelona for only €6/$7 per person! 7-night stay in top-rated aparthotel in Corfu + flights from Frankfurt for only €134! HOT! All-inclusive 7-night stay in Varadero, Cuba + flights from Germany from €376! Spring! 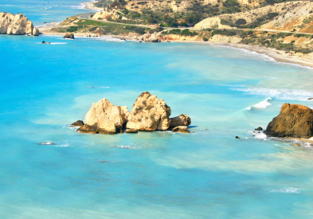 7-night stay in top-rated 3* apartment in Cyprus + flights from Bucharest for €135!